Specially designed for Pediatric Dentist waiting rooms! 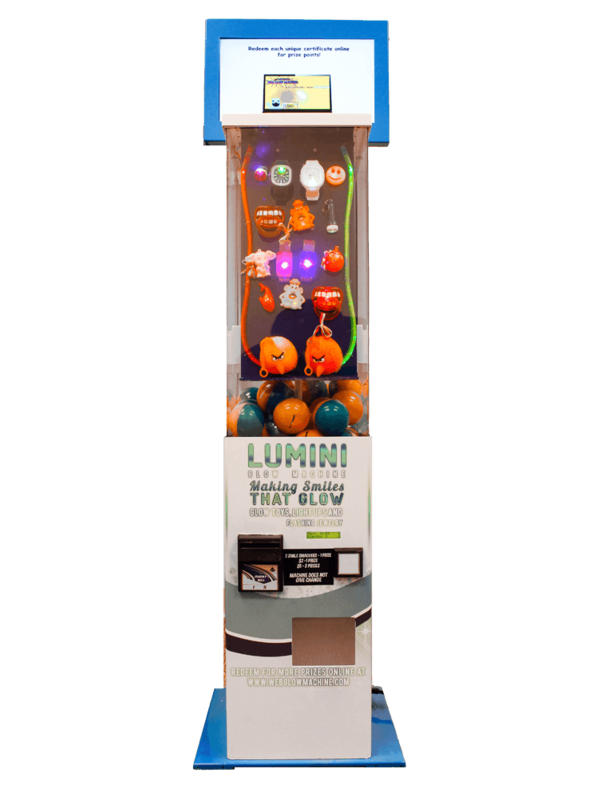 The Glow Smiles Machine is designed specifically for the prize delivery process used in pediatric dental offices all over the country. Vtail has earned worldwide recognition for our premium prize delivery systems in all sorts of family fun environments. Now pediatric dentist offices can be fun and engaging offering the same types of prizes that are often seen at every Disney property. What’s better is that with Vtail’s operator network the cost of your premium prizes can be less than $.10 each! Every Glow Smiles Machine comes outfitted with our high definition video monitors with built in media players that are set to run funny and educational video occupying siblings your waiting room. Combine the video with the 150+ flashing lights on the prizes and you have some serious eye candy! All of this inside approx. only 1sq ft.
Vtail has special placement programs for Pediatric Dentist Offices where you can get a machine for FREE! Contact Sales now to find out how you can upgrade from your old system to a Glow Smiles Machine and earn $1000 in prizes! Guaranteed no brainer! While only using 4 square feet the Web Glow Machine has got tremendous presence that grabs a lot of attention on location. VTail’s highest ROI machine.